Missed Out On Reunion Dinner Reservations? Enjoy Up To 15% Off On CNY Takeaway Deals With Citibank! 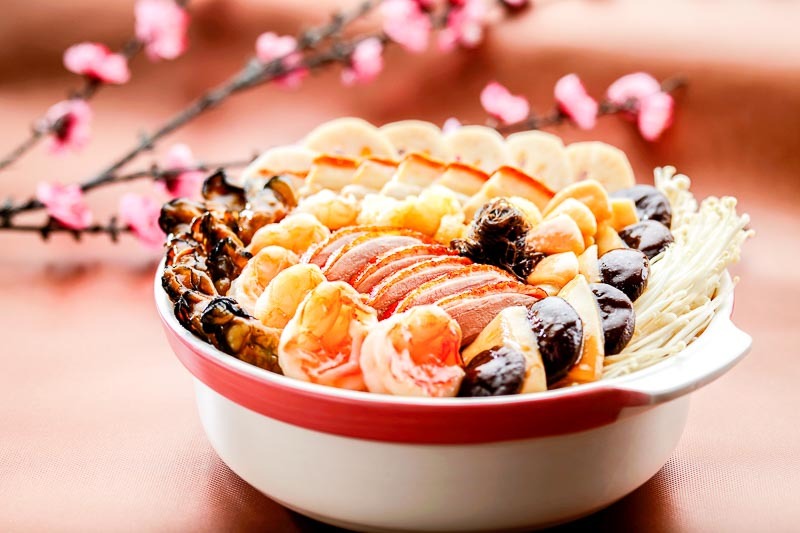 This lunar year it’s all about pigging out, which means there’s bound to be a mad rush to ensure reservations are in for the annual reunion dinner. But if you’re having trouble making reservations at your favourite restaurant, this year Citibank have you covered with take-home deals that’ll guarantee you a cosy and joyful Year of the Pig in the comfort of your home! With deals up to 15% off, here are five merchants with great Chinese New Year treats for a homely reunion. You won’t have to furrow your brows in worry with reservations and crowded dining spaces as Hai Tien Lo have you covered with all you need for a sumptuous feast right at home! 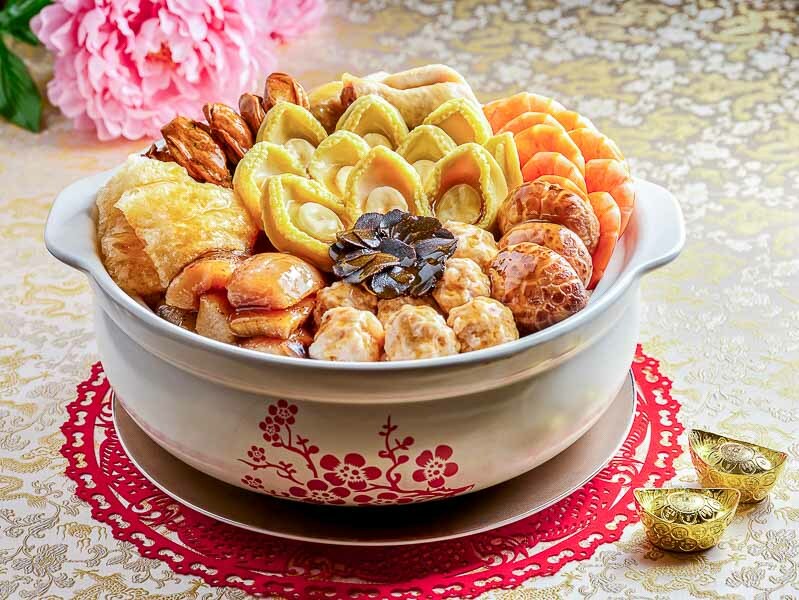 Their Premium Wealth Treasure Pot (S$747.93) is perfect for a party of 10, and comes with an abundance of Whole Abalone, Dried Oysters, Dried Fish Maw, Pork Knuckle, Poached Chicken, Roasted Duck, Black Truffle and Homemade Meat Balls. Craving for a suckling pig? 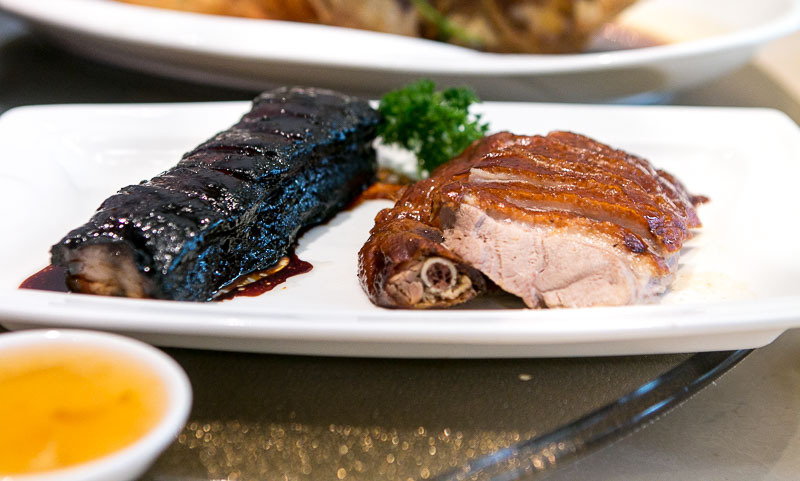 The Barbecued Crispy Whole Suckling Pig (S$361.66) serves 8 to 10 people, fit for the Year of the Pig. There’s also Barbecued Crispy Pork Belly (S$77.90 for one kilogram) that’ll guarantee you and your family a crackling good time! From now to 19 February 2019, pay with your Citi Card for 15% off Chinese New Year takeaway goodies, with an advance order of three working days before collection. Get ready to pig out! 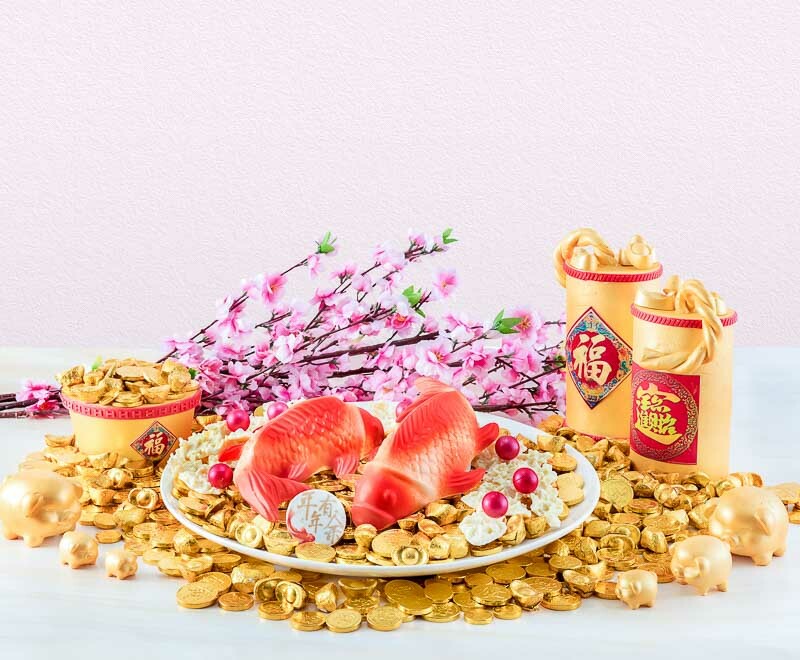 As per tradition, Carlton City Hotel Singapore is offering you exclusive Chinese New Year goodies for takeaway via their Lunar New Year Shoppe. Forget the hours of toiling over the stove and spend more time with family with their Lobster And Crab Cheese Beehoon Abundance Pot (S$108). It’ll blow your mind away with hearty flavours, dripping in a specially-concocted cheese gravy. 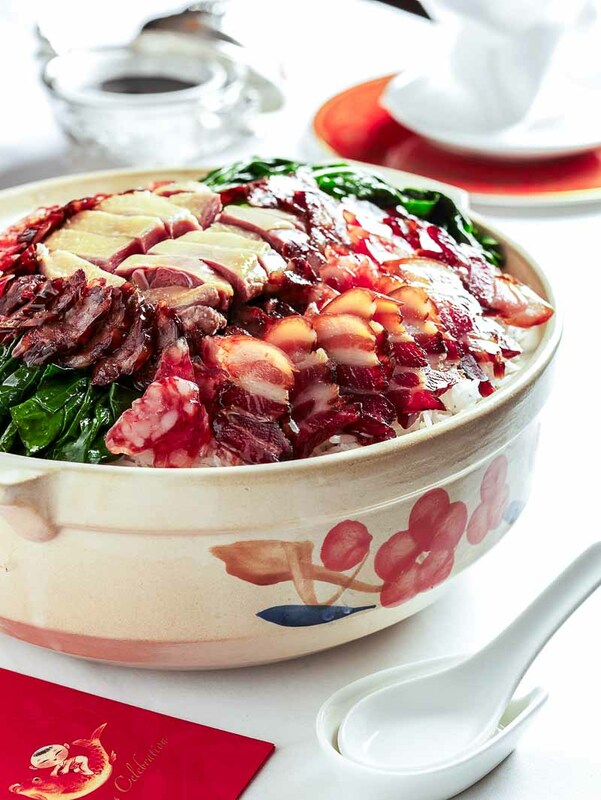 Alternatively, you can also order their Reunion Clay Pot Rice (S$68) that serves 6 to 8 people, brimming with Chinese sausages, barbecued meat, waxed duck, mushrooms and chef’s signature sauce. For those looking for a whole bird, they also have the Prosperity Herbal Chicken (S$48) so you won’t have to worry about anyone going hungry! The order period is from 21 January to 3 February 2019, and your Citi Card will entitle you to 15% off these irresistible takeaway goodies. Do give an allowance of five working days before collection, your family will surely thank you for investing in a glorious feast! Have a satisfying meal right in the comfort of home with your loved ones with wonderful offerings from Paradise Group. 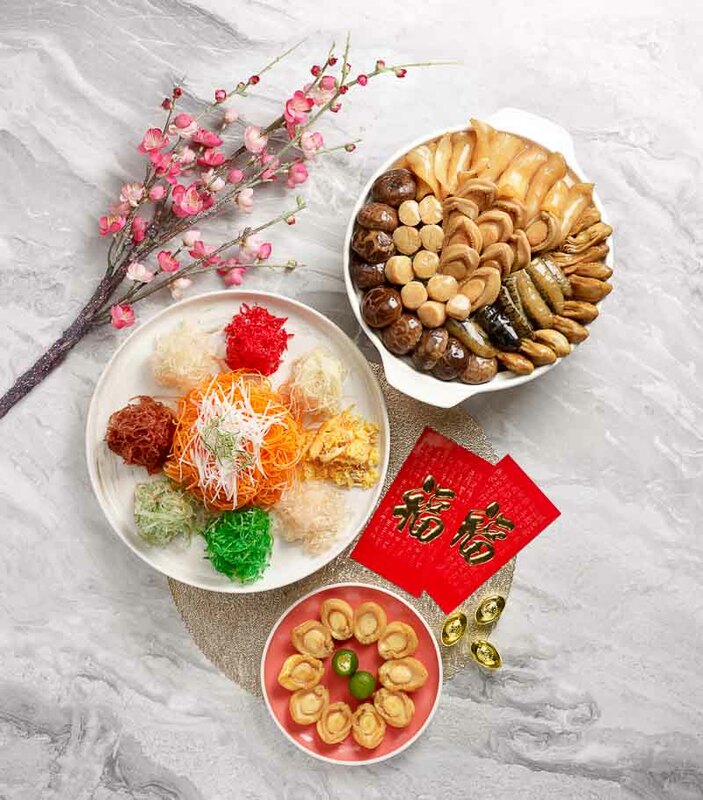 Restaurants like Canton Paradise (Marina Bay Sands outlet) are serving specially-designed Chinese New Year set menus like their Longevity Set (S$388) that comes with a signature Paradise Abalone Yu Sheng. It’s piled with a liberal amount of sliced cucumbers, carrots, radishes and not forgetting succulent sliced abalone. It also includes Crispy Roasted Irish Duck, BBQ Pork Belly With Honey Sauce, Double-boiled Superior Chicken Soup With Black Truffle, Braised Sea Cucumber With Wild Mushroom In Superior Oyster Sauce, Deep-fried Red Garoupa With Supreme Soya Sauce, Stewed Ee-mian Noodles With Dried Shrimps and Steamed Molten Salted Egg Yolk Custard Piggy Buns. To end your meal on a sweet note, consider a curated selection of cakes and pastries like Steamed Nian Gao with Coconut Milk (S$29.80), Piggy Pineapple Pastry (18 pieces) (S$29.80) and Golden Fa Gao with Red Dates (S$29.80). For both sweet and savoury festive takeaways, Citi Cardmembers are entitled to 10% discount! Be mindful that for cakes and pastries, they are available from now to 4 February 2019, while takeaway Yu Sheng and Treasure Pot are available from 19 January to 19 February 2019. Celebrate the festive cheer with a decadent spread! 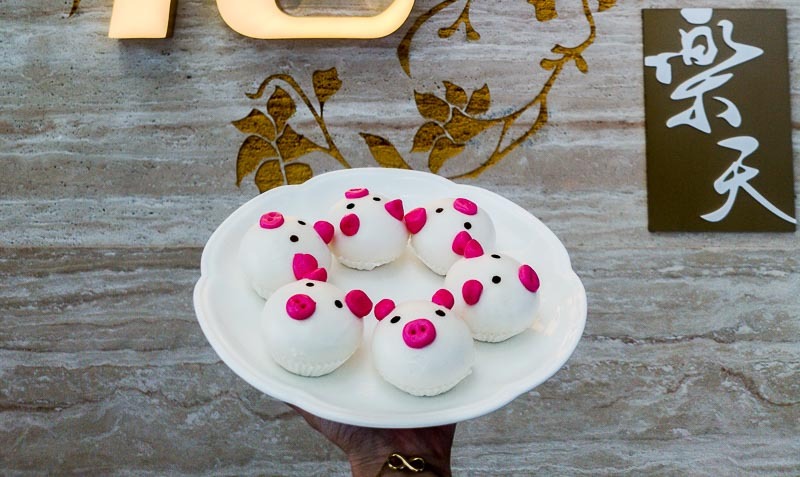 Hit all the right notes with SweetSpot at Marina Bay Sands with their white chocolate Wealthy Koi Fish and Golden Prosperity Firecracker with Almond Milk Truffles, while the lil’ ones will delight in the Happy Abundance Piggy Bank filled with chocolate coins. The deal is sweetened with a 15% discount for Citi Cardmembers, valid till 10 February 2019. Rejoice in great deals and great eats during the lunar new year! The takeaway offerings you’ll find at Min Jiang are as classic and timeless as the institution that is Goodwood Park Hotel Singapore. 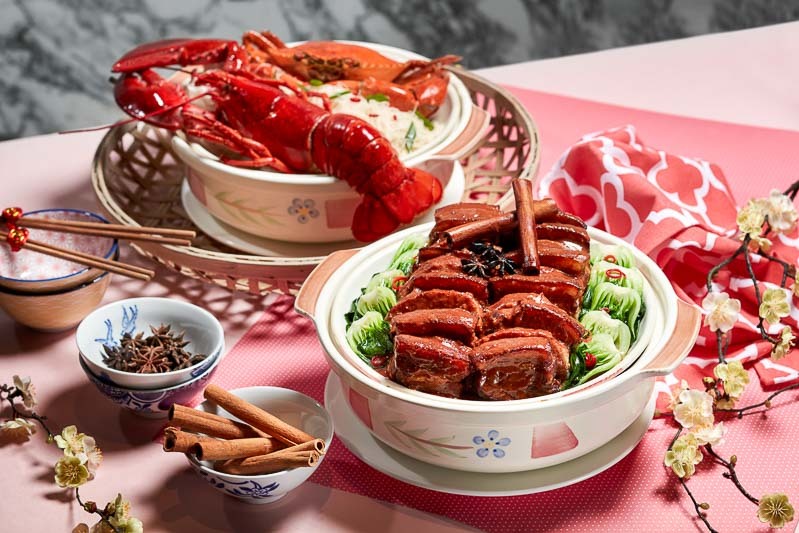 Revel in your annual reunion with their Claypot Reunion Rice (S$83.45 for 4 – 6 persons, S$126.25 for 8 to 10 persons) chock-full of preserved Chinese pork sausages, liver, waxed duck leg and juicy pork belly. If you and your family are fans of a wide variety of food, the Five Fortune Takeaway Platter (S$126.25) is an ideal consideration. This tantalising platter comprises of five appetisers: Deep-fried Shelled Prawns Coated With Butter Milk, Chilled Mini Abalone With Sesame Peanut Plum Sauce, Coffee-glazed Spare Ribs, Deep-fried Boxing Chicken With Sesame Chilli Sauce and Marinated Jelly Fish Flower. There are also new highlights like their Fortune Delight Crispy ‘Heung Song’ Duck with Glutinous Rice (S$179.75) with finely shredded duck that’s meant to resemble floss and made to be thoroughly enjoyed with glutinous rice. 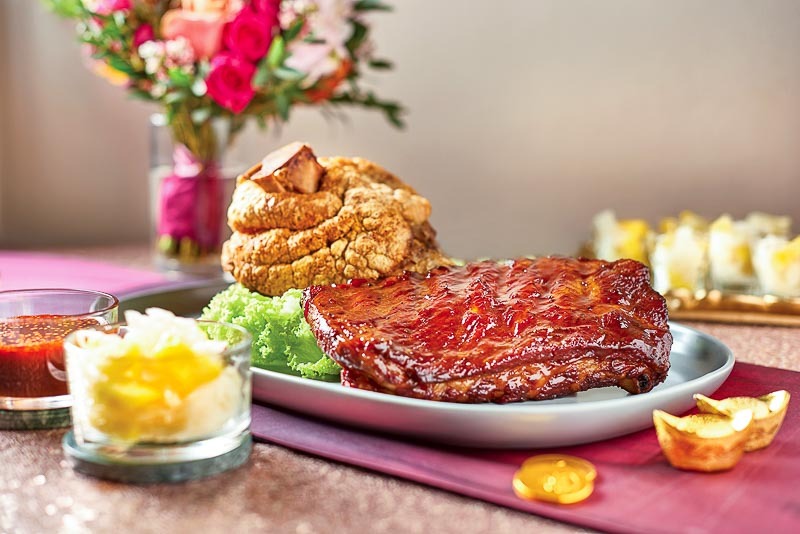 Meat lovers will surely gravitate towards the Prosperity Duo of Deep-fried Pork Knuckle and Slow-baked Honey Butter Ribs (S$147.65), featuring pork cooked two ways; the knuckle is baked and deep-fried to a beautiful golden crisp, while the ribs are slow-braised for 80 minutes before being drizzled with honey butter and slow-baking them to perfect tenderness. Citi Cardmembers will enjoy a 15% discount off their festive takeaway orders, so allow yourself to be pampered this Chinese New Year, and your family will thank you for it! With alluring deals from Citibank this Chinese New Year, your start to the Year of the Pig is bound to be a prosperous one! *This post is brought to you in partnership with Citibank.